irkedyarn wrote: MGI has many faults but to be fair they always crown beautiful girls. For me, they only crown beautiful girls on 2013 and this year. Their last three queens can't hold a candle on the first and reigning queens. i was rooting for Venezuela because i really love Tulia Aleman! but Peru was the best that night! so well deserved victory! congrats to my girl Elizabeth! i've seen her compete in Bb. Pilipinas 2011, and i'm really impressed on how she had grown as a woman! a lot of pageant fans doubted you and said that you are the weakest among the winning circle of Bb. Pilipinas 2017, but you have proved them wrong! i'm so proud of you, Liz! Sweden is robbed this year, she is so stunning and slim, I don't get why she is not in top 20 at least. bdee wrote: I think someone mentioned upthread that Nawat wants to crack the Latino market now...actually he's been wanting to crack that since the beginning. The first 3 winners (even though one was dethroned) are all Latina. Last year was the only time they crowned a non-Latina. Ops! I forget about the first three winners are Latina too! My mind keeps telling me they are from the CARIBBEAN! My bad. PUERTO RICO, CUBA, DOM REP (DETHRONED). 1. It's owner who doesn't know an inch of professionalism. 2. 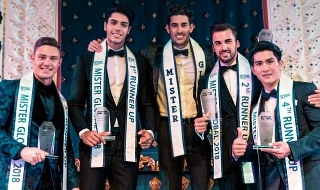 Dubious fans who from the very beginning wanted to elevate this pageant at the expense of other bigger pageants namely Miss Earth and Miss International. That is not the way to achieve fame. Let your activities and advocacy talk, and don't try hard to shove to people's throat that your pageant is big. 3. Globalbeautits - it is the opposite of Midas. Every pageant this dumpsite touches, dies. cica-maca wrote: Sweden is robbed this year, she is so stunning and slim, I don't get why she is not in top 20 at least. MGI is all about PERFORMANCE! I like both Sweden and Sri Lanka but, as soledad said, Sweden looks dead and Sri Lanka is tacky. I KNEW 100% SURE THAT SRI LANKA WILL NOT MAKE IT FOR SOME REASON,,,SHE IS A MISS EARTH CONTESTANT BEFORE !!!! 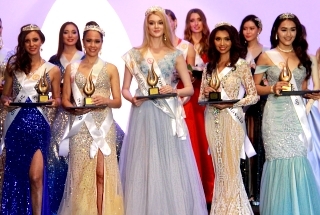 Renera Thompson was a Miss Earth clapper but she placed 3rd runner-up on MGI. Sad for Sri Lanka too. The winner is good-looking, but she is far from being a natural beauty. As many beauty queens, she did many plastic surgery operations and I am wondering if a person like this can win a "beauty pageant". I prefered Sweden over her. Im very surprised Belgium didnt place as she was also the favourite of global beauties. HARVIN wrote: Venezuela should have won but Peru is also deserving. What a killer body. Que horror! That woman is boba!!! Really? 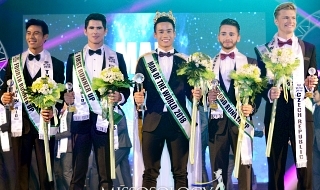 Would you like non-pinoys to name the reasons why Miss Earth will die? YES, YOU CAN TRY HARDER THIS TIME. THEY HAVE TRIED IT SINCE 2007? AND HAS IT DIED? TRY AND TRY UNTIL YOU DIE. I THINK, WE WILL ALL DIE BEFORE MISS EARTH DIES. Last edited by manoypoe on Fri Oct 27, 2017 11:30 pm, edited 1 time in total. Yes, they should be disqualified. They are inhumanoids. Well, you won't be sure with the Americas and Koreans. Most often than not, they are manufactured beauties. I wonder if they still feel sensation in those areas. Last edited by koji on Sat Oct 28, 2017 3:06 pm, edited 1 time in total.